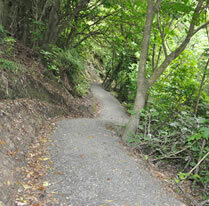 For over 28 years Valley Landscape have been providing reliable and competitive landscaping construction and track building services for homeowners and councils throughout the Hutt Valley and greater Wellington. Work with council and community groups to develop mountain bike trails or walking tracks that will benefit the local community. 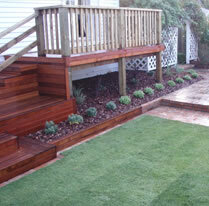 Build or maintain your dream garden at home so you can relax and enjoy your outdoor space. Valley Landscape's Projects provide you with all the professional expertise you need to build your envisaged landscape environment. Whatever you have chosen – paths, planted gardens, retainer walls, lawns, steps, fences, decks, or paved areas – are all constructed to exacting standards so they look great and last well. The Valley Landscape Maintenance programme is especially designed for commercial sites and removes the administrative burden you have if you organise and directly supervise the maintenance yourself.